Who's cooler than Don Coscarelli? It's a short f'ing list, man. So without further ado, here is the latest poster for the Phantasm creator's latest film, John Dies at the End. 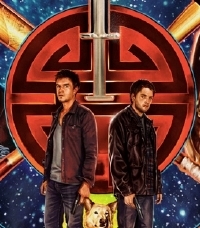 In John Dies At The End, it's all about the Soy Sauce, a drug that promises an out-of-body experience with each hit. Users drift across time and dimensions. But some who come back are no longer human. Suddenly a silent otherworldly invasion is underway, and mankind needs a hero. What it gets instead is John (Rob Mayes) and David (Chase Williamson), a pair of college dropouts who can barely hold down jobs. Can these two stop the oncoming horror in time to save humanity? No. No, they can't. 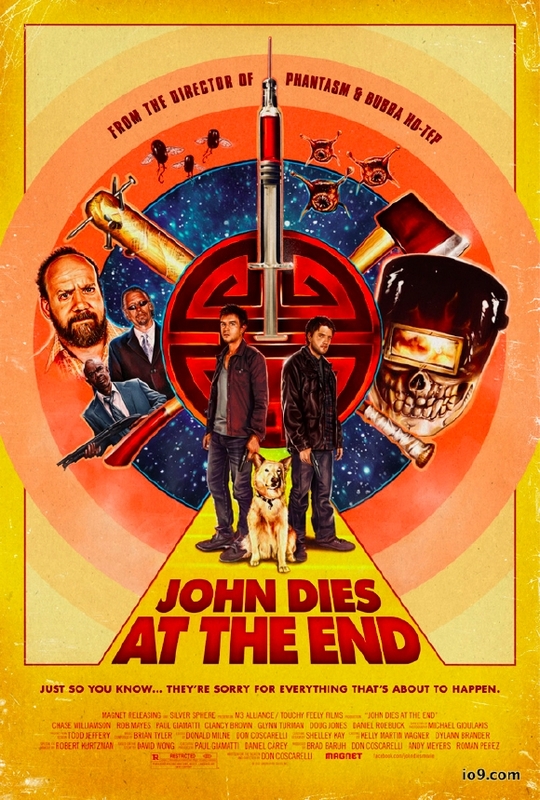 "John Dies at the End" has been picked up for distribution by the good people at Magnet Releasing and will hit On Demand/iTunes in December and in theatres early 2013. You'll find the trailer here and our review from SXSW here.